All-Time Mahjongg offers you a new version of the classic game Mahjongg, one of the most popular board games at all! The game comes with a lot of features other Mahjongg games do not have; you will get 8 different game modes which you can combine among themselves. So you can enable different helps like Show Pairs which highlights only the pairs which can be removed right now! Best choice for beginners! But that's not all: you will also get different modes like Classic, Arcade and Hidden. In Arcade mode you must clear the board within two minutes. For every removed pair you will earn additional seconds. In Hidden mode you will only see the stones when you have clicked onto them, similar to Memory. 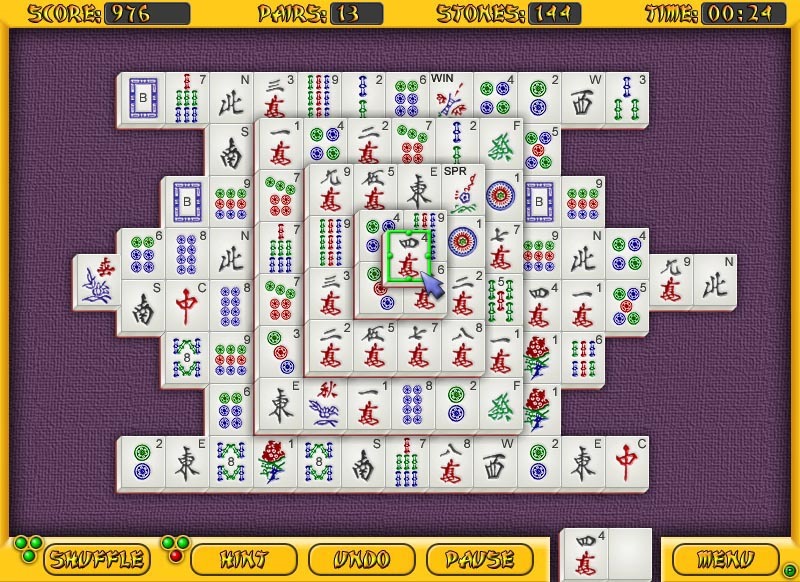 All-Time Mahjongg includes 200 unique layouts, 4 background musics, 6 high detailed tile sets and 9 background graphics. Further you will get full screen and window mode and a highscore entry. Registered users can download additional goodies for free!